There are over 865 different medications that are used in the treatment of arthritis today. While some work to reduce the swelling, others only mask the symptoms with pain relief. Everything from aspirin and prednisone to opiate-laced drugs like hydrocodone and fentanyl are prescribed to alleviate pain in arthritis sufferers. These drugs come with their own list of side effects and can be potentially dangerous over long periods of time. They have also been known to damage vital organs, such as kidneys and liver when taken consistently as a treatment method. Because hemp has been lumped together with its cousin marijuana, lawmakers and physicians have been hesitant to publicize the benefits of hemp oil. However, as time goes on, education on hemp has been improving. 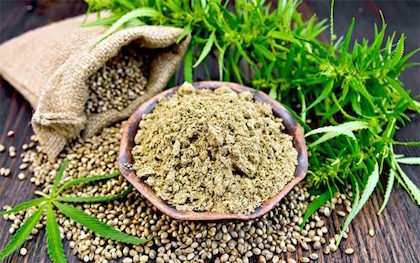 One component of the hemp plant is called cannabidiol (CBD). It does not get you high and is totally legal. It is recommended by Dr. Sanjay Gupta to consume 5 to 10 milligrams of hemp oil daily as an alternative treatment measure for inflammation. There are veterinarians that are now using a form of hemp oil in dietary supplements for animals in the treatment of joints in aging dogs and cats. According to Arleigh J Reynolds, DMV, PhD, DACVN, Assistant Professor of Clinical Nutrition, College of Veterinary Medicine, Cornell University, “ “Due to their influence on inflammatory processes such as arthritis, dietary supplementation with omega fatty acids such as found in hemp seed oil, has generated considerable interest in the medical and scientific communities regarding veterinary health. Inflammation is the root of most diseases. By replacing hundreds of drugs with one simple natural ingredient, like hemp oil, plus an improved diet, arthritis could become a disease of the past and save consumers millions of dollars in medical bills.